Time for MizB’s WWW meme yet again! Everyone getting ready for that new year? I’ve got progress and it’s looking like a good push into 2015. Currently reading: No progress on The Domesday Book by Connie Willis. On hold. The audiobook on my phone is still California by Eden Lepucki. I made a small bit of progress on this but I think I’m going to put it aside for the audiobook I checked out from the library. It’s really failed to grab my attention. My husband and I started listening to The Sun Also Rises by Ernest Hemingway during our car trip, but we had so much to talk about that we didn’t even get through the third disk. I’m thinking this one might take a while. I got a new phone-book as well, Cloud Atlas by David Mitchell. This has been the top book on my TBR for a long time so I was excited to snag it, but the first few pages haven’t grabbed my attention yet. I’m without a physical book at the moment so I might invest some time in this to see how I like it. Recently finished: Would you even believe I finished three books this week?! Yes! Three. I’m so proud of myself. I finished Ready Player One by Earnest Cline on Christmas Eve before leaving for my in-laws. I was so geeked to finish this one, I really enjoyed it. I also finished The Unlikely Pilgrimage of Harold Fry by Rachel Joyce. I sneaked away to finish this Christmas day, more to get it over with than anything. Because I was so excited to start Attachments by Rainbow Rowell which I finished yesterday. What a great week for reading! And reviews! I’ve posted a review for John Green’s Paper Towns so check that out, too! Reading Next: My hold for The Diviners by Libba Bray came in and it’s in my car. If I’m ever driving alone I’ll start it, but that might not happen before I go back to work! The book for my next ‘Read Along With Me’ has been chosen! We’ll be reading The Unbearable Lightness of Being by Milan Kundera. If you’re interested in reading this book along with an on-line book club, send me an email and I’ll count you in! You can read more about my Read Alongs here. We’ll start in early January. I’m deciding if I want to pick the next book off of my pile. It’s in Spanish and will take me a while to get through, but I think it will be worth it. It’s La Sombra del Viento by Carlos Luiz Zafon (The Shadow of the Wind) which I’ve heard wonderful things about. Let’s see if I’m brave enough! I’ve got half a week left of vacation and I wonder if I’ll get through anything else. How is your WWW? Leave a comment and let me know and check out the original post on MizB’s blog! This is quite long delay, but my work book club had a quick little discussion of Barbara Kingsolver’s book The Bean Trees that I want to share with you all. You can read the review I wrote of the book here. I gave this one a full five out of five. The other ladies agreed with me that the book had a delightfully strong voice. A lot of Taylor’s personality came out in the way she spoke. We didn’t get to know Lou Ann as well because her portion was narrated in the third person. When we were first introduced to her character, one woman really wondered how they would come together, being so far apart geographically and having so little in common. Well, we came to find out very quickly. We liked all of the characters, even the smaller characters. A favorite was Taylor’s mother. She was a strong woman to raise Taylor on her own and she was a good mother and still let Taylor be herself. It was sad that Taylor wanted to leave so badly, but it was good that her mother let her chase that dream. We thought Lou Ann had a very non-traditional approach to family. She had a strained relationship with her mother, who had a bad relationship with her mother-in-law. However, Lou Ann loved her ex-husband’s family because they mutually disliked her ex-husband. It wasn’t really a surprise that her character would so easily accept Taylor and Turtle into her extended family. Matti was a great character as well. She was very brave to do what she did and even braver to be so outspoken about it. She was a good person at heart and it was her warmheartedness that led to her breaking the law. My very own Turtle, Jane. Turtle was a good name to give Turtle/April. We know Taylor gave it to her because she was grabby, but she was also in her own shell a lot of the time. (As a side note, not all turtles are afraid of everything all the time. This is my turtle, Jane. She’s very outgoing.) She was able to be pulled out of her shell gradually so that she wasn’t afraid all the time. But can you really blame the girl? I don’t. One of the other women pointed out that Taylor was very passive aggressive, which I hadn’t noticed the first time through. When someone handed her a child, she didn’t object. I’m not sure you can get more passive aggressive than that. There were other times when she didn’t fight back against what was happening to her; when she realized she loved Estevan, when she was initially uncomfortable with the relationship with Lou Ann, etc. What changed her was when she might lose Turtle. She couldn’t stand that thought. We found it strange that there was no concern over money in the book. Lou Ann and Taylor are both making minimum wage (or there about) but don’t seem to worry about what they can buy or how they’ll pay rent. I make more than minimum wage and I still worry about that stuff! I wish I had their confidence. One woman in our group made a comment about how much violence there was in the book and I hadn’t noticed it until she said something. It was all implied violence, none of it really happened in the plot of the novel. There was the death by tire explosion, the murders and kidnappings that chased Estevan and Esperanza out of their country, and there was Turtle’s implied abusive background. I liked that Kingsolver kept the violence in the background so it wasn’t a focus, but it was used to move the plot along. We also found a lot of religious satire in the book. Jesus is Lord Used Tires was kind of funny in name, but the place itself was a haven for the refugees. They were some of the most religious people in the whole book. When Taylor saw the 1-800-THE-LORD phone number, she thought it was going to be somewhere she could turn to and get answers, but it turned out to be a fundraiser. The characters found religion in very unexpected places. The event we talked about the most was the adoption scenes. Reading about Esperanza giving Turtle away was so hard to read because of what it put Esperanza through. It was a lot for Taylor to ask of her new friends. It was almost as if Esperanza was loosing her daughter twice. I asked if it might have been therapeutic, but we agreed it wasn’t. Turtle even looked like their daughter, which only makes things worse. Ultimately, was the adoption the right thing to do? We think that there were a lot of other things Taylor should have tried first. There were relatives somewhere, even if the mother was dead. The woman who gave Turtle to Taylor could have been a surviving relative. Speaking of that, Taylor might have tried resisting the child in the beginning. If someone hands me their kid, I think I’d ask a few more questions. Mattie might have been helpful in locating her parents, she seemed to have some good connections. 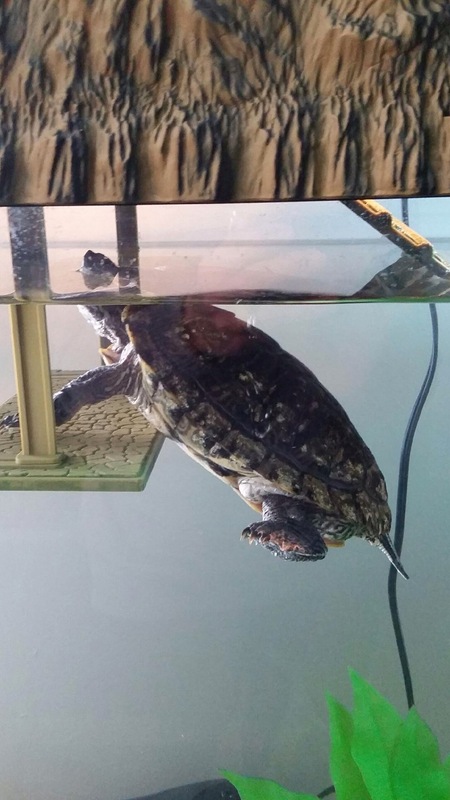 However, the adoption is what was best for Turtle. It gave Taylor a purpose, too, and the two of them were a great team. The adoption was a big step for Taylor’s character. In the beginning, she resisted the non-nuclear family she was forming with Lou Ann, thinking that it somehow meant less because they weren’t related. But the non-nuclear families in this book were the strongest. Taylor left her mother behind, but not Taylor. Lou Ann’s ex-in-laws loved her more than their son. And the closest relationships were friendships. The next book we’re reading together is Attachments by Rainbow Rowell, which I’ve just started. We’ll be talking about it in the new year. So this is my third John Green book and with each one, I’m giving a lower rating. 5 for TFiOS, 4 for ‘Alaska,’ and now 3 for this title. This is nothing against Green as a writer. I think he develops very rich characters and I think they capture the essence of being a teenager. But I disagree with his message on this one. I don’t think it sent a positive message to kids and I felt like the heroine didn’t deserve to be worshiped. She really bugged me. I never liked Margo, throughout this whole book and I think that ruined it for me. She frustrated me and seemed very self-centered and I didn’t want Q to like her. She wasn’t worth his time in my view. So I was frustrated during the whole book while these awesome characters spent their time and effort looking for a not-very-awesome character. 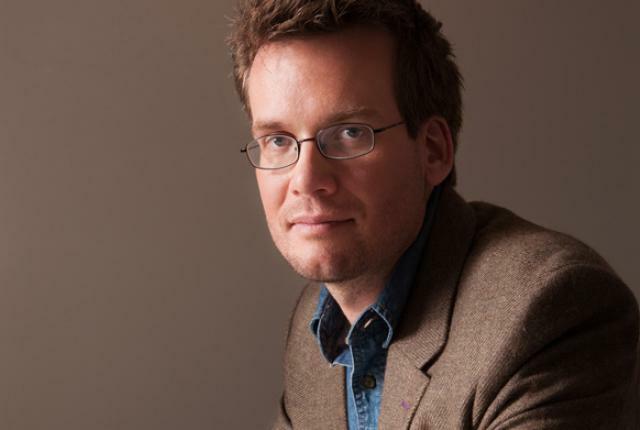 John Green writes an amazing teenage character. In all his books, it’s the characters that always stand out to me, much more than the story. His adult characters still hold merit, which is good in a YA novel, but don’t hold a candle to his teenagers. I wish I knew the secret to holding on to youth enough to write a teenager this well! Ben in particular was a stand-out character. I’m not sure he had the most favorable growth or went about it in the most healthy way, but he was able to maintain his identity and personality while becoming a person he wanted to be. I didn’t like how he started (heavily) drinking to fit in with Lacey’s friends but I liked that he remained tight with Q and Radar and was still himself after it all. He could have easily ditched Q and the Quest for Margo to be with his new friends, but he stuck with them the whole time. A great character all around. I related to Ben, Radar, and Q’s struggle to be happy and fit in during high school. I was perfectly happy with my friends, but it sometimes bothered me that we weren’t the popular kids. What was wrong with us that not everyone liked us? We were pretty awesome, if I don’t say so myself. But we didn’t want to change who we were to fit in with the ‘popular’ kids. It’s a weird middle to be stuck in and it was cool to see Q and the guys in the same place. The banter between the characters was my favorite part of the book. John Green does teenage dialogue better than anyone else, hands down. Hearing Ben and Radar rag on Q or vice verse was great and it helped take me back to when I was 17. Bravo, Mr. Green. I hated the ending. I thought it was a terrible message of ‘You can run away from your problems if you want to’ and I think that’s a terrible thing to say, especially to teenagers. I think Margo was idolized and ended up being incredibly self-centered, making me really hate her. I wish Q had been more upset with her in the end because I felt as if she betrayed him. He deserved better. The audiobook I listened to was narrated by Dan John Miller. I think he did a wonderful job. His inflections helped me understand who was speaking in a conversation and his inflection when the characters spoke was spot on with a teenager speaker. I liked how he did the IM conversations by using the screen names of the characters as it was in the book. it reminded me of high school. Wow, a theme for this book? The things you’re looking for are not always worth being found? Sometimes it’s best to leave someone alone? I’m not really sure where to go with this one but I didn’t like the themes. Margo was (legally) an adult. She was allowed to mess up and ruin things for herself and no one let her go along with that. It’s her call if she wants to leave everyone and go away and I wish Q was able to go along with his life without having to know where she was. I felt bad for him. Writer’s Takeaway: It can’t be said enough: dialogue and teen characters are superb in this novel. No one can do it better than John Green. I think this is a great study of how complex a character can be and how much back story you can put into them without bogging down a story. Because if I say ‘World’s Largest Collection of Black Santas’ and you’ve read this novel, I’m going to bet you smile. But if not, you’ll be lost because it has nothing to do with the plot. It’s all back story and you love the characters more because of it without feeling dragged down with their minutiae. Not that great of a plot, but well written. Three out of Five Stars. This book fulfills ‘Florida’ for the Where Are You Reading? Challenge. Welcome to the I’m in Ohio edition of The Friday 56 hosted by Freda on Freda’s Voice. Head on over there and check out the other participating blogs. He had never walked so far in a day but he had covered eight and a half miles and he was hungry for more. The premise is that Harold is walking the length of England, covering about 8 miles a day. This quote is from the beginning of his journey, when it’s all going well. I’ll let you read to see how it starts to go later on. Shameless plug: If you’re interested in joining an on-line book club, my Read Along With Me #3 is starting soon and I’d love to have some more readers. We’re going to be reading The Unbearable Lightness of Being by Milan Kundera and will start in January. Send me and email if you’re interested! Time for MizB’s WWW meme yet again! And a very merry book Christmas to you all! Unfortunately, there’s no change here for books this week. Reading fail. I’ve been working through Ready Player One by Earnest Cline at a good pace. I’m enjoying the story, though there’s a bit more info dump than I would like, but it’s good. The audiobook on my phone is California by Eden Lepucki though I’m thinking of putting it aside again because my next audiobook just came in at the library and this one is really boring me. I’m trudging through The Unlikely Pilgrimage of Harold Fry by Rachel Joyce. I feel like my progress through this book is as slow as a retired man walking the length of England but without any kind of adventure whatsoever. I’ll fight to the finish! Recently finished: Well, this is awkward. Nothing. But I did put up two reviews (go me) so check out These Is My Words by Nancy E. Turner and The Pillars of the Earth by Ken Follett. Reading Next: I was handed a copy of Attachments by Rainbow Rowell on Monday. I hope to devour it over the Christmas holiday! My hold for The Diviners by Libba Bray came in and I picked it up yesterday. I’m trying to determine if this book is worth abandoning California for a little bit longer. I’m also in possession of the audiobook for The Sun Also Rises by Ernest Hemingway. I’ve been wanting to read this one since I read The Paris Wife and the road trip my husband and I are making to Cincinnati for the holidays is the perfect excuse. The book for my next ‘Read Along With Me’ has been chosen! We’ll be reading The Unbearable Lightness of Being by Milan Kundera. If you’re interested in reading this book along with an on-line book club, send me an email and I’ll count you in! 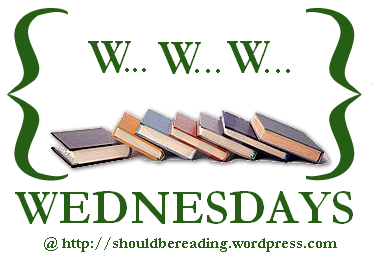 You can read more about my Read Alongs here. I’m off work for the year and it’s time to power through my big pile of books. How is your WWW? Leave a comment and let me know and check out the original post on MizB’s blog! I’ll be honest when I say that I normally ignore the ‘Recommended for you’ books on Goodreads. I’d rather have a recommendation from a friend or blogging buddy. However, I was getting desperate to finish my When Are You Reading? Challenge for 2014 and I needed a book set between 1889 and 1909. So when I saw this book (and it’s sub-title), I decided to make an exception because Goodreads was handing me the book that could finish my challenge. Win. A moving, exciting, and heartfelt American saga inspired by the author’s own family memoirs, these words belong to Sarah Prine, a woman of spirit and fire who forges a full and remarkable existence in a harsh, unfamiliar frontier. Scrupulously recording her steps down the path Providence has set her upon–from child to determined young adult to loving mother–she shares the turbulent events, both joyous and tragic, that molded her and recalls the enduring love with cavalry officer Captain Jack Elliot that gave her strength and purpose. I almost wrote this book off from the beginning but I was stuck on a plane with no other options and followed through. The narration used poor grammar at the beginning but as the character became more educated, her word choice and subject-verb agreement greatly improved. It became readable. In truth, it was more than readable, it was engrossing. I would have given this book a full 5 stars if it wasn’t for the difficult beginning. This book was a sort of Little House on the Prairie for adults. I loved the characters in it and it helped me see the development of the west in a very unique way. Sarah was a great narrator. She was strong and dynamic. Jack was easily my favorite because of his fierce love for Sarah and his family. I liked that they didn’t have a perfect marriage and that Jack was equally devoted to his job. It was very believable. Savannah was a great character, too. She held to her beliefs very strongly and even in the face of uncertainty, trusted in God and her husband to protect her and provide for her when she needed it. Jack was so easy for a reader to fall in love with. Before he and Sarah confessed to their feelings, I was silently screaming at my book, “He loves you!” I wanted to smack Sarah over the head for not instantly falling in love with such an awesome man. He was such a gentleman and very lovable. But I eventually got it my way, so it was fine. It was hard to relate to the characters in this book because their very different lifestyle and the things that had to be important to them because of the time period. Sarah was very much a product of her time and while I liked her and respected her, she was nothing like me and her problems were very different from my own. I liked when Sarah and Jack visited his father. It was such a contrast to see Sarah travel via train instead of in the caravans she used at the beginning of the book. Her life had changed so drastically from the poverty she lived through at the beginning via her hard work that seeing her in such luxury felt right. It’s nice to see someone who worked so hard and suffered so much finally rewarded. I hated reading about Sarah’s relationship with her first husband. It was hard to read about his lack of emotion toward her and how she had to go through her time with him thinking that what she was experiencing was love. I hadn’t guessed that he was unfaithful or in love with another woman, but I sensed something was very wrong. It was even worse knowing that Jack had wanted to be with her and was stopped because she’d married. It only delayed the inevitable, but it was still rough. I didn’t think this would be a love story when I picked it up and for most of the book, it didn’t even focus on the love story. But when you boil it down, that was the center of Sarah’s story. She was in love with a man who made her better and pushed her to be the best she could be and it changed her life for the best. Writer’s Takeaway: I’m a big fan of the diary format and I liked how Turner did it here. Sarah wrote more when it was appropriate and less when it made sense that she’d be busy. I wasn’t a huge fan of using her writing as a way of developing her character as far as the improper language I mentioned before. It was distracting more than helpful and telling. I wish she’d made the change from a different starting point of Sarah’s education so that the mistakes weren’t so jarring. Overall enjoyable with the exception of the beginning. Four out of Five Stars. This book fulfilled the final time period, 1890-1909 for my When Are You Reading? Challenge and it’s now complete! Wooo! The Unbearable Lightness of Being by Milan Kundera! I’ll distribute a reading schedule where we’ll read 80-100 pages of the book every two weeks. We for lasting and wonderful friendships over books! In short, it’s awesome. I hope you join in! I’ve already had three women join in so if you want to Read Along with me, Claudia, Nicole, and Mari, please join! 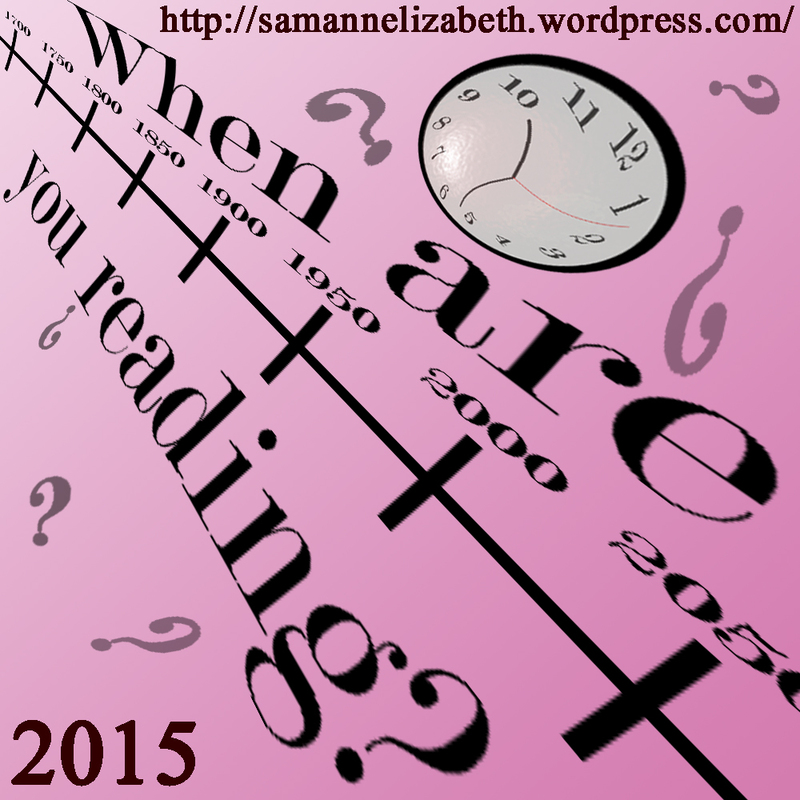 Presenting the 2015 ‘When Are You Reading?’ Challenge! So that’s 12 time periods, one less than the 2014 challenge and slightly rearranged. I think it will a bit easier this time around because 1890-1909 was a struggle last year! Well, I’m not big on rules when it comes to voluntary challenges. You can do this however you like and you can count a book where ever you think it goes best. You can track it on a page or on a Timetoast timeline or both, whatever you want to do. Heck, don’t track it at all! I’m putting up a page here and if you’re going to participate, I’ll link to your tracking page (should you decide to have one). For winning, you get a virtual high-five so the stakes are high. I had a lot of fun learning about world history doing this last year and challenging myself to find books with unique settings. I don’t think I would have read about the Arizona territories in the late 1800s or the building of the Taj Mahal in the 1600s if I wasn’t participating in this challenge. I hope everyone can find it as enjoyable. Welcome to the Quiet Day at Work edition of The Friday 56 hosted by Freda on Freda’s Voice. Head on over there and check out the other participating blogs. I knew I probably wouldn’t be able to fall back asleep, so I decided to kill the remaining hours until dawn by brushing up on a few coin-op classics. I don’t know too much about these characters yet, but I think this one summarizes Wade well. He’s completely obsessed with finding the hidden Easter Egg inside the game developed by an 80s obsessed genius. Playing retro video games may help him solve the puzzle so he’s ready to do it. I’m enjoying this book so far and keep thinking parts of it would make a good movie, but parts of it would be awful, haha. While you’re here, are you interested in joining an on-line book club? Do you like reading books with your friends and talking about them? My third edition of ‘Read Along With Me’ will begin in January. We’re selecting our book now so vote and send me and email if you’re interested in participating.